A President who has been maligned for striking the wrong tone at the wrong time got the tone exactly right this week when he offered new ideas to stem the tide of school shootings. What happened? His ideas were shot down within a matter of hours. I live in a state where more people own and have grown up using guns than in most others. Guns are a part of life in Texas. Standing up for yourself and your neighbor is part of the cultural fabric here. Yes, it does make you proud of your state and yes, it does make you feel safe. Ask anyone if they didn’t feel proud and loved by their neighbors after Hurricane Harvey. Texas reminds me a little bit of how I felt skiing out west, particularly at Jackson Hole, which has some of the steepest inclines and drop offs in the Country. Skiing side by side with some of the best skiiers in the Country could have been harrowing. Instead it made me feel safe. It was clear they knew what they were doing. I might have been challenged by the terrain but I felt confident the other, more experienced skiiers could show me the way. I am waiting for the right person to reassure me, and every other American, that the U.S. can act swiftly and reasonably on the issue of Gun Violence in Our Schools. Where is the responsible NRA member or Sportsman who is willing to stand up and say it’s time for a change? The time for talk is over. The time for action has arrived. We can and will employ the best intelligence communities in the world, the best military and the most entrepreneurial minds to keep our children safe at school. Let’s make it as hard to get into a school as it is to get into Federal facility with security clearance. Let’s use iris and thumbprint scanners. Let’s use the soft stuff, too. Teachers already have their work cut out for them but why don’t we use retired military as volunteers on our campuses. Heck, let’s pay them. They’ve earned it and they have exactly the kind of defensive posture and judgement on when and how to act that our kids deserve right now. Few Americans realize letting the Assault Weapons Ban expire was a procedural lapse. Fewer still realize that while there is little to guide us in terms of identifying mass shooters before they snap, there are clear indications that the weapon of choice is often a semi-automatic rifle. President Trump bravely stepped forward and offered ideas that might get bi-partisan support: allowing families to petition to have a troubled relative’s guns taken away, extensive background checks and more aggressive mental health intervention. The lobbyists refrain is to say none of that will work. They may be right that it won’t stop the illegal gun trade, at least not yet. But doing nothing is not the answer. Tone matters. And the time for a shift in our tone is now. Because Gun Reason is not Gun Control. What is a blogger supposed to do when everything they thought they knew changes in one fell swoop? Bloggers get clicks for being controversial, not advocating a middle of the road approach or compromise. Since November 2016, this blogger has alternated between wanting to pull the covers over her head when the television news is on to talking back to the television when I get tired of the personal attacks and eye rolls that seemed to have replaced substantive news. Instead of positing thought provoking points to create dialogue, I have sat though one stupefying episode after the next, wondering whether saying nothing might be the most moderate thing to do. In fact, my love of parsing rhetoric to find the middle has now been reduced to a fascination nee obsession about what everyone else is doing while the President is talking. It’s like that game where two people see who is going to blink first. It’s just me marveling that no one has broken down and lost face in public. At least with the mannequin challenge, you’re allowed to let loose and laugh uproariously when the photo op is done. A smarter blogger would have littered her social media with the terms “p234y” or “sh1thole.” Imagine the traffic! But this one was hoping that the President could do what the Secretary of State Rex Tillerson seems to have done. A businessman from outside politics, he came in to a gravely serious situation where many people doubted his ability to execute and seems to have succeeded in dialing down the tension with North Korea, at least for the time being. The truth is, while I didn’t vote for Donald Trump (or Hillary, for that matter), I secretly wanted him to succeed. I adore his daughter and at one point, admired his chutzpah. When my preferred candidates fell away, I thought Trump could be the guy that got into the revolving door at exactly the right time to give the candidate in front of him, Hillary Clinton, the bump she needed to exit stage left. I thought the biggest risk to our country would be more of the same. It seems in this brave new world, you can’t win but for trying. I spent years advocating for Gay Marriage in Missouri. Wouldn’t young people be drawn to work and live in states that were more tolerant and open minded, I wrote and said out loud to anyone who would listen. Then I saw a headline the other day on the cover of a think-ish national magazine, while standing in line at the grocery store, that said, “Gay Marriage has destroyed Gay Culture.” Is it me? You’re kidding. I hope the Director of Homeland Security Kristjen Nielsen didn’t stay up too late doing research before that hearing the other day. “Exactly what cuss words did you hear, Ms. Nielsen?” “Well, there was strong language, Sir.” I felt like I was playing the game Twister but my feet and hands were on all the wrong spots. Wanting to reach towards the purple, to give the Senator from Newark a high five for being outraged over disparaging comments about African immigrants (? ), my other hand was reaching even further to that winning spot where Cory Booker could follow his own advice to “elevate not denigrate.” Why not go “stille” on the obvious and use the hearing to break new ground by asking the Secretary of Homeland Security how she would introduce merit while maintaining compassion in Immigration reform? I continue to be amazed at the disconnect between what the average citizen wants or agrees on and what happens inside the only-insiders-allowed mirage called the nation’s capital. Is everybody stoned? Is that why no work seems to be getting done in Washington, DC? That is a joke. Admittedly a bad one. But I am serious when I say it concerns me that the only two things Americans seem to agree on lately is the legalization of marijuana and the need to avert a shutdown. I love the image of New York Senator Chuck Schumer and The Donald secretly negotiating a spending bill compromise while noshing on cheeseburgers. Not exactly Cheech and Chong. More like Chuck and Don. Too bad it didn’t work. The way the shutdown played out was predictable. Votes were ultimately cast along party lines. The reasonable Republicans and Democrats working towards a bipartisan compromise were humored then marginalized in the 11th hour. Cue: Minority leader Nancy Pelosi who probably knew what gift she was going to give the President on the anniversary of his inauguration a year ago. A giant right back at ya! Yes, polls did show more Americans cared about passing the spending bill than they did about guaranteeing the Dreamers could stay. The part Madame Pelosi missed was voters wanted Congress to pass a spending bill. The closest thing to an eye-opening headline for me was when one commentator said something about the fact that Republicans may be trying to test their theory that many federal agencies and departments could be run with a fraction of the staff. That and the fact that Congress still gets paid in the event of a shutdown but military families will have to wait for compensation in the event a family member in the Service is killed during the Shutdown. What? The bottom line is it isn’t hard to compromise. Every parent on this plant knows how to broker compromise. It starts with the acknowledgement that not reaching an agreement is a fail for all involved. Nucatola also discusses Planned Parenthood clinics’ interactions with a tissue procurement company calledStemExpress. The company’s website says thatpartnering with StemExpress can be “financially profitable” for a clinic — a point that someconservative websites have singled out. But this also does not constitute evidence that Planned Parenthood is profiting in such a way. Though few studies of costs associated with fetal tissue acquisition are available, existing evidence does suggest the prices named in the video are in line with general practices. The National Institutes of Health conducts research with fetal tissue, and in the late 1990s, the Government Accountability Office (then known as the General Accounting Office) looked into the acquisition of such tissue, finding that the direct cost to researchers was “low.” GAO saidpayments primarily went to “central tissue suppliers,” as opposed to health clinics. In most cases, GAO found that clinics did not charge researchers, but when they did, the cost ranged from $2 to $75. The report did not address how much clinics might have received from central tissue suppliers, which is more analogous to the situation presented in the video. I am going to write an ellistical post about the undercover video campaign against Planned Parenthood. That means I am making a list of things to consider. This isn’t an op-ed piece, it’s a call for reflection. It is a list of questions I am asking myself about Planned Parenthood. 1) According to FactCheck.org, 3% of Planned Parenthood funds go to terminating pregnancies. No federal funds go to abortion services. So, cutting Title X funds to appease anti-abortion voters is a political maneuver. Title X Funds are used for contraceptive services, cancer and STD screenings and family planning. 2) I was unaware of the organ and tissue donation program. I had a visceral reaction to the way that process was handled when I saw those undercover videos. A friend said today, “Planned Parenthood should have come out immediately to say this is not who we are.” The revelation that some pregnancies may have been terminated in a surgical fashion that left body parts intact is repugnant and should be dealt with swiftly. 3) People are not terminating pregnancies to provide organs and tissues for research purposes. That is a connection that is unfounded at best. 4) Many people think gay marriage and abortion are personal issues that, in an ideal world, wouldn’t fall under the realm of government or the courts. Don’t women in crisis need protection the same way gays need to be protected from discrimination? Do the Republicans realize the message they are sending when they say they won’t include contraception in Medicaid expansion and when they try to eliminate Title X funds for Planned Parenthood, based on a limited program that Planned Parenthood will likely abandon? 5) The campaign against Planned Parenthood isn’t a campaign about tissue donation. It is an attempt to shut Planned Parenthood down and to eliminate abortion altogether. Hospitals and Medical Centers are providing similar services and it is perfectly legal. The bottom line is no one should be harvesting tissue or organs for research. But cures to diseases like Alzheimer’s and M.S., to Stroke and Cancer lie in research on donated tissue. It will be a blow to research if the Planned Parenthood debacle curbs tissue donation and research. 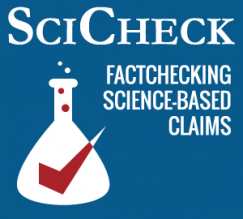 According to FactCheck.org, while it is true that vaccines to measles and other diseases are the results of research on fetal tissue done in the 60’s, most tissue research comes from other sources today. 6) I am for respecting individual differences on abortion and recognize people, particularly women, have a right to be pro-life. I understand their reluctance to use government funds for abortion services. That’s why the use of federal funds for terminating a pregnancy is banned. The fact is a Christian view on reproductive services is dominating the conversation on the right. What impact will that have on Election Day for the growing population of women entrepreneurs from other faiths? 7) If the Republicans succeed in defunding Planned Parenthood, and turn to other service providers for education and family planning, how will they choose the recipients? If Planned Parenthood is defunded immediately, when will funding resume for other providers of education and contraception? It’s not often that Jon Stewart, host of “The Daily Show,” defends conservatives, but that is what he did Wednesday. Stewart became the latest critic of The New York Times recent stories attacking presidential contender Sen. Marco Rubio, a Florida Republican, for everything from having four traffic tickets in almost 20 years to having had a large student loan and buying expensive items. “I can’t think of a single person who would be bothered by this,” Stewart said on his show, in reference to the condemning tone of the Times stories against the senator’s tickets and how he used money from his book to lease an Audi, and buy a fishing boat. Rubio has somewhat turned the Times seeming hatchet job in his favor, mocking it in emails to supporters and the press, and even getting campaign donations because of the newspaper’s attacks. Some publications cast the Times’ stories as elitist and gossipy. Is it a Car? Is it a Boat? Is it Worth 200k? As a parent, you constantly hope you are doing it right. Occasionally, things happen that confirm that hope, changing it into a belief: I believe I’m doing it right. Be it an A on a test, a win in the big game, a good decision on the playground or at a party, the belief becomes a surety. Wow, I’m a good parent—no, I’m a great parent! You bask in the glow of it and fleetingly consider baking cookies or taking on a DIY project. And then one day, your teenage child stands in the kitchen, between you and the cupboard, and says with disturbing sincerity: I need a plate. Wait. What just happened? I was getting ready to brag about you at a party. Suddenly, I’m wondering if you have a complete set of chromosomes. The plates are right where they have always been—just at arms’ length behind you. I mean, sure, I guess I could put down the two gallons of milk I am holding with the head of lettuce balancing precariously on top and get you one, but is it that much of a burden to rotate 90 degrees and extend your free hand? Where did I go wrong? He hit all the milestones as a kid—crawled when he was supposed to, babbled a few syllables at the proper time. I can still remember my friend, Jody, in a panic that her oldest son, Teddy, hadn’t clapped when the book said he should. I glanced proudly at Cranky and Whiny, clapping away, and assured her it would happen. Will she give me the same smug sympathy when I tell her my teenager cannot locate dinnerware? Don’t worry. I’m sure he’s fine. He’ll figure out the kitchen cabinets…eventually. Well, this is really going to put a dent in my parental boast. I mean, what good is an A on a chemistry test when your kid won’t be able to get through the cafeteria line? Perhaps I’m making too much of it. I guess I should be glad he asked for a plate at all, no matter how horrified I may be at his inability to execute. And I guess we all need these subtle reminders that no matter how good of a job we think we’re doing, there will always be that moment when your kid needs a plate. Posted: Thursday, August 28, 2014 12:00 pm | Updated: 12:19 pm, Thu Aug 28, 2014. So we’ve all been doing a lot of texting. It’s an acceptable form of communication for adults—barring condolences and break-ups—and the primary form for teens. Last spring, Cranky’s prom invitation was extended via text. That being said, as with all forms of communication, there are rules. Comments are easily misinterpreted, and a lack of response—however unwitting—is an insult. Too many question marks in a row is aggressive; too many exclamation points, overly enthused. Lately, however, I have noticed an increase in the use of something that seems to take the sting out of an unfavorable text—something that conveys so much in the small amount of space provided. Oh I can’t. Got to meet my mom. I just meant I could use a beer. No prob. Heading out. C U Mon. There are emojis of flowers, flags, food and faces. There are emojis of aliens, ambulances and animals. Some of them make me curious. When would you use an emoji of a hospital? Just got in car crash. Or a barber pole? Guess what you should do today? Or a handicap parking symbol? I parked in a great spot (wink wink). In any event, an emoji is a very useful tool. It makes normal texts lighthearted, and humorous texts downright funny. They are modern-day hieroglyphics. Just like early men, we need to convey a complicated message as simply as possible. Instead of letting the tribe across the river know we are fleeing an approaching predator, we are letting our friends know where to meet up before the concert—not life or death, but a useful tool nonetheless. This past week has been a difficult one for our communities. The shooting of Mike Brown brings forth all sorts of emotions and questions. Yet, despite the overwhelming tragedy in Ferguson and its troubling aftermath, we can be consoled with the knowledge that our God is no stranger to heartbreak. Jesus enters into our messes. Jesus is present with us in our grief. And in this way, Jesus models for us the ministry of presence. Jesus shows us that to serve, the most important step is the first step: Show Up. We may feel intimidated by these discussions. We may feel inadequate to lead them. But our youth need a safe space to tell their stories and process their feelings. They need us to come forth as servant leaders – leaders who are ready to cry with them, to struggle alongside them, to listen to them. Many of the questions that come along with these discussions do not have easy answers. Enter into them anyway. There are no road maps for these discussions. Each discussion will be different depending on your context. (For example: What is the racial makeup of your parish? The racial makeup of the surrounding area? The schools your youth attend? How close, geographically, are you to Ferguson, MO? Do you have youth/children who have family members in law enforcement? Youth/children who have family members who have died because of gun violence? We must keep in mind all of these questions and be sensitive to them). You will need to adapt things to make these discussions your own, but I have a framework to get you started. Below I’ve written some steps to consider and attached a page of resources for further inspiration. This is the hardest and most important step. Show up. These conversations are difficult but we absolutely need to have them. Your ministry of presence is vital in these difficult times. In times of tragedy, people, especially young people, look to their leadership for how to respond. You are part of their faith community. You have made promises together, in baptisms. You have eaten at the Lord’s table together. You have worshipped alongside each other. Because you have been present already in their lives in those ways, you are now called to continue your ministry of presence by giving youth and children an opportunity to wrestle with these difficult questions and emotions. Invite your youth and children into a sacred time together specifically for these issues. Tell them that you are going to talk about what has been going on in Ferguson. Be aware of the physical space you choose to do this in. You will want the space to be comforting and inviting. Ideally, a space should be private (while keeping in mind safeguarding guidelines) and quiet. Questions – Open up time for questions. In this case, there are a lot of unanswered ones. Come prepared to answer questions with the most current, accurate information you have available. Expect frustration from teens when there are not clear or easy answers. Affirm their feelings by saying things like, “I can hear that you’re frustrated. I’m frustrated too.” Then listen. Discussion and Truth Telling – Ask the youth how they feel about what happened. Ask them how this relates to them, personally. What sorts of other, related, issues does this tragedy bring up for them? Affirm their feelings by reflecting them back to them. After you ask a question, do not be afraid to sit in silence for awhile. Allow them to have the time to formulate their ideas and verbalize them. Do not feel the need to fill the silence. Depending on the context and personality of your group, some groups may talk a lot while other groups might not talk at all. Give them the time and space either way. single candle lit where they are encouraged to breathe deeply. Perhaps another station is a labyrinth. Maybe another station is a prayer wall (a large sheet of butcher paper with various markers) where they can write or draw prayers. Perhaps another station is a list of Bible verses about God entering into our sorrow with us (see attached resource). Give youth time to go from station to station as they wish. You may want to play some quiet instrumental music during this time. Litany – After youth have time to quietly reflect in the different mediums, come back together for some sort of prayer. You may want to use the prayer “A Litany for Children Slain by Violence” in the resource list below. Maybe you could even do a “prayer of the people” type prayer where the youth could write petitions themselves in one of the ritual stations. You may want to put the candle in the center of the room, hold hands, and recite a prayer of healing together. Distribution of Resources – When you have finished your prayer together, reaffirm to the youth and children that you are there for them if they have any questions in the coming weeks and months. Then distribute appropriate resources. In this case, I would send home a note to parents with an adapted copy of either “Talking with Children About Tragedy” or “Talking with Children About Violence.” I would also include numbers or emails where people providing pastoral care or counseling can be reached. This is not a one­time talk. When we are talking about intersecting issues of violence, tragedy, race, and privilege; it is a lifelong, ongoing discussion. If certain personal things were brought up during discussion, remember to ask youth about them in the future (ex. next week, remember to ask “Susan, you mentioned that your grandma lives in Ferguson. How is she doing? How are you feeling?” or around Christmas time “Jacob you mentioned that you had a relative die last year in a gun related incident. I know holidays can be hard when you’ve lost someone. I’m here for you”) . Commit those details to memory and follow up. Schedule a time to get milkshakes one on one (in a public space) with youth that seem particularly affected. Refer youth to counseling resources when necessary. If you are in need of further resources, please contact me.